A natural hand and body lotion full of soothing certified organic Aloe Vera and rejuvenating Australian Macadamia oil, plus certified organic Shea butter and protective Candelilla wax. Deliciously scented with natural essential oils that are known for their astringent, inflammation-reducing and rehydrating properties. 250ml. Aromatic medley of Rose Geranium, Sweet Orange and Rosemary. 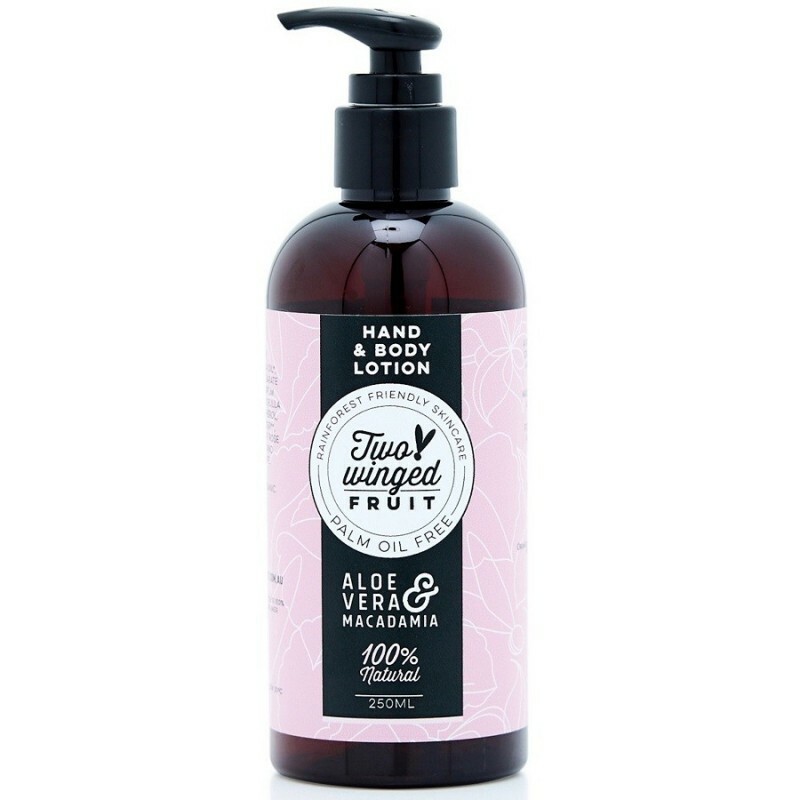 Made to moisturise and hydrate hands and skin. Great for dry or mature skin. Contains nourishing Shea butter and barrier-forming Candelilla wax for locked in moisture. Water*, macadamia oil*, shea butter**, glyceryl stearate citrate, xanthan gum, parfum (natural preservative), candelilla wax, sunflower oil, tocopherol, aloe vera leaf juice powder**, citric acid, essential oils of rose geranium, sweet orange and rosemary, sodium phytate. *Australian grown, **Australian Certified Organic. 250ml. 15cm x 5cm. Packaged in 100% post-consumer recycled pump bottle. I apply this a couple of times a day at work and that's enough to keep my hands feeling soft and moisturised. I find the scent a bit overwhelming though. It's very bold. I personally prefer much softer scents so will not get again but do recommend it for the moisturising qualities!